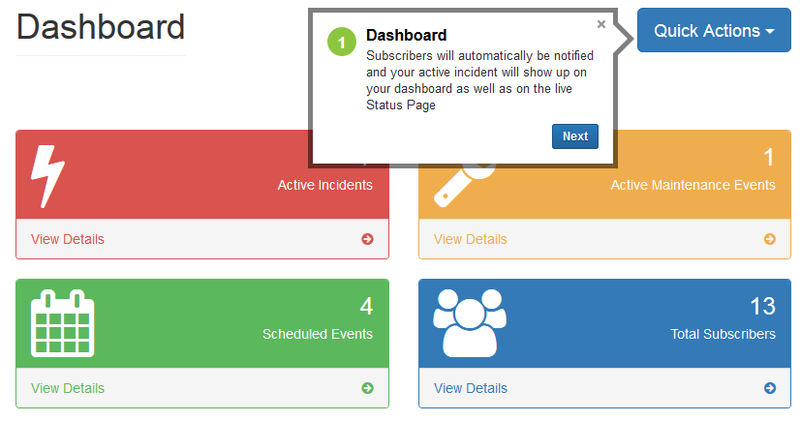 The status page and incident communication platform. To reduce the strain on the support team, maximize service uptime and reduce mistakes, it is imperative that your team is engaged as quickly as possible with the most current information. By communicating issues with your end users and all parties affected by a service interruption your support team can focus on resolving the problem rather than answering support emails, messages and phone calls. Our status page gives the visitor a quick snapshot of open incidents, current maintenance and scheduled events.